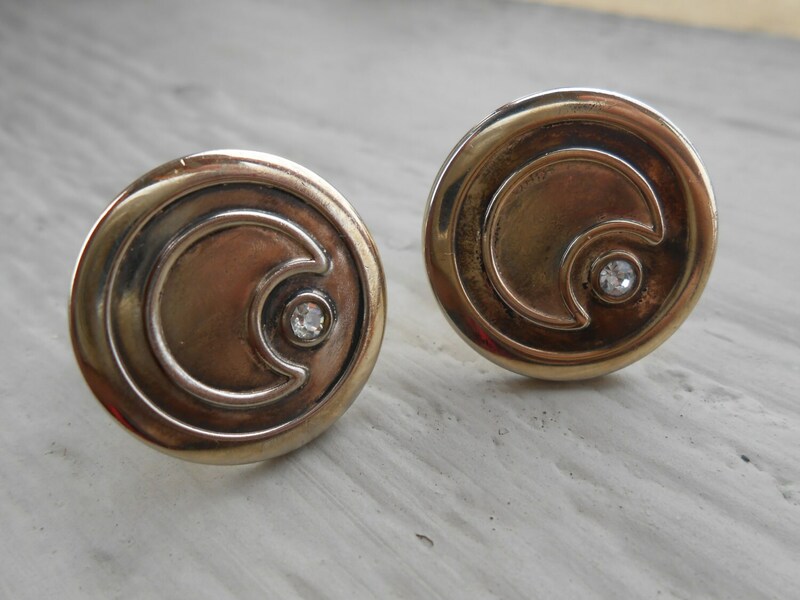 Vintage Moon Rhinestone Gold Cufflinks. Gold Tone. Wedding, Women's Christmas Gift, Dad. CUSTOM ORDERS Welcome. 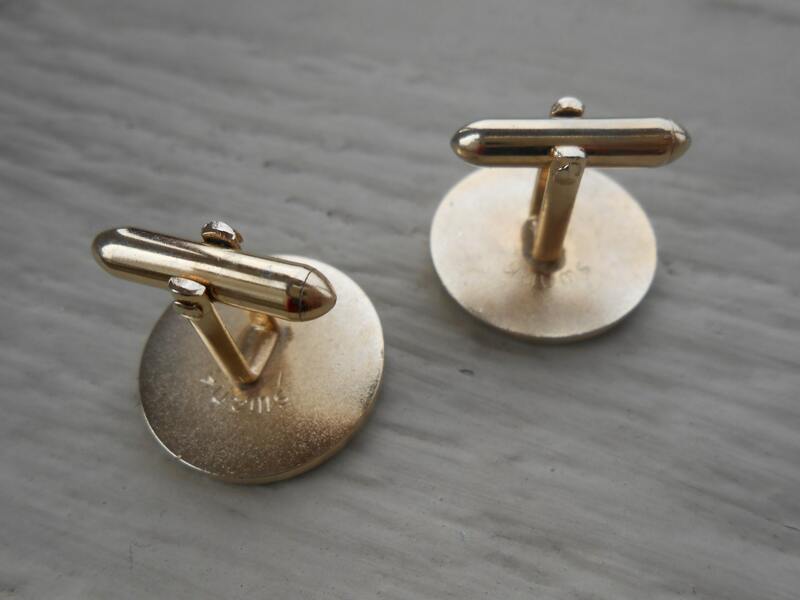 These vintage goldtone cufflinks are perfect for anyone! Each one has a crescent moon with rhinestone on it. These are totally awesome and measure 7/8" in diameter. 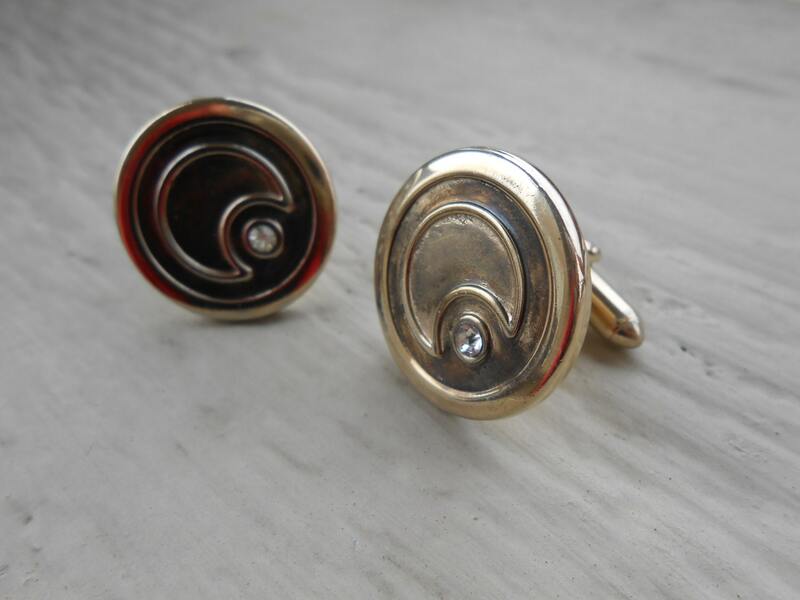 These were made in the 1960's. 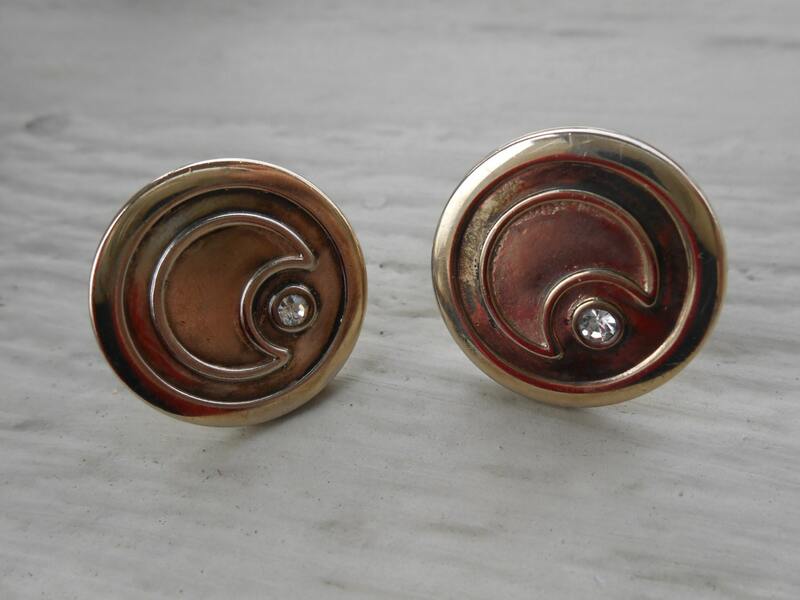 These are in good condition with minor vintage metal wear. These would be great for any time of the year! 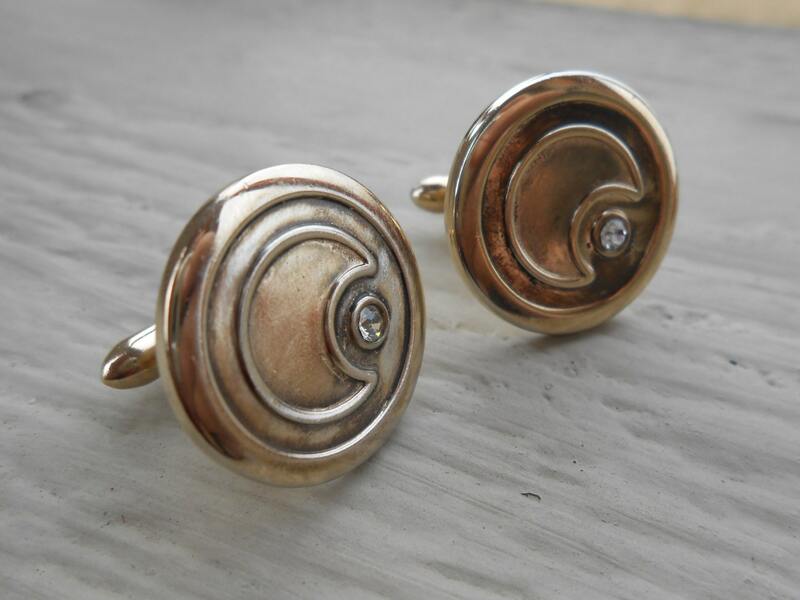 They are wonderful cufflinks for a wedding, for a Valentine gift, wedding, for Mother's Day, or a birthday.